The home of the future will be able to offer comfortable, safe and supportive home spaces. Smart systems and artefacts will know users’ routines and anticipate their needs. While the vision of the home of the future is promissory, it is the user who supports UbiComp systems, but certain technical and social challenges must be addressed before the smart home can become a reality. Unexpected human behavior makes it difficult to identify and predict domestic activity. Thus, if a system is not reliable or trusted enough to take actions on behalf of users, context-aware designs must allow for user participation to support the systems’ performance. In this article, the authors use their experience designing a context-aware system to illustrate how the users’ “touch”, that is, their active involvement, is still a requirement for today’s UbiComp designs. The configurable system described supports parents awareness of their children’s activity. Responses from a user study indicate that parents engaged positively with this kind of mediated, rather than proactive, computing-based support. The home of the future is meant to collaborate with and anticipate its user’s (occupant’s) needs. Smart artefacts will be more aware of their own and their user’s surroundings; smart spaces will be able to identify inhabitants’ “routines” and offer computing-based services that fit the current user’s context; the smart home will be aware, adapt and respond to the inhabitant’s preferences for comfort as well as individual’s moods. While this vision of the smart home is promissory, there are still some challenges from the technical and social domains that must be overcome before the vision of the smart home can become a reality (Edwards & Grinter, 2001). Firstly, in contrast to the workplace the home is a “living space”. This social space is characterized by the activities of the family members that give shape to and are shaped by these home spaces; for instance, a person can use the living room as a gym; or a family can re-arrange a home space to serve as the living room and the dinner room. In terms of artefacts we can see that the adoption of and interaction with household technologies has specific goals of enhancing home lifestyle. Secondly, it is hard to measure and quantify the diversity of cultural dynamics taking place within the home. A central aspiration of smart spaces is to infer where people are and what individuals are doing. However, because people behave in unpredictable ways, it is extremely challenging (perhaps impossible) to infer the dynamics of inhabitants’ behaviour (Abowd, 1999; Belloti & Edwards, 2001). 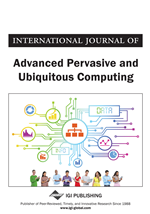 Thirdly, although previous work has demonstrated that proactive computing technology might support healthcare and the well being of people with special needs (Bamis et al., 2008), it has been hard for the UbiComp research field to demonstrate the utility of proactive systems to support other domestic contexts such as parenting. The user’s “touch” or active participation seems to be a requirement to mediate proactive computing-based support. In this article, we describe our experience with the implementation of an activity-aware system which aims to support parents in monitoring their child’s (potentially risky) activity. We also illustrate that for this context of use, the user’s participation is important both in the design and runtime of the system in order to offer a “better” – in this case socially appropriate and respectful – support for parenting related activity in the home setting. The rest of this article is divided as follows. First, we present why and to what extent the incorporation of the user’s active participation has been encouraged in previous work. Next, we introduce the case study of the activity-aware room implementation, its capabilities and limitations in offering unobtrusive support in today’s homes. We then describe how a user-mediated approach can begin to address ambiguous system support; Parents’ responses from a user study that explored perceptions of utility of the system is then presented; and finally conclusions are given.